In everything we do at Equinox, we create the possibility for people to maximize the potential within themselves. Commitment means everything to us, and yours as a veteran is second to none. If you are a high-performance individual who is passionate about winning and inspiring others, then we are excited to explore career opportunities with you. We respect and value the service of our veterans and their families, and we are committed to hiring and helping to prepare transitioning service members, veterans, and military spouses for new jobs. We have a growing internal network of military employees and veterans, supported by proactive recruitment, career-development and partnership programs. Build a client base that loves you—and make them soar. Equinox Personal Trainers deliver the knowledge and motivation to help our Members maximize the potential within themselves. 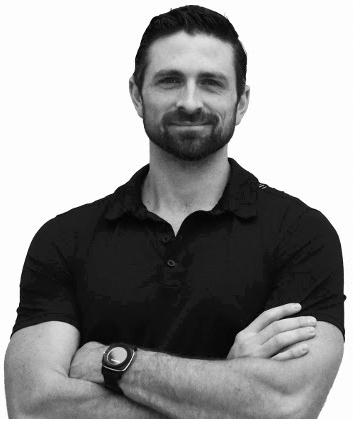 The Equinox Personal Trainer is intelligent, professional and inspiring. They embody the Equinox belief in high performance living. Achieve incredible heights as a Membership Advisor, responsible for taking prospects and turning them into dedicated Members. Our Advisors take part in all the club’s services, build a rapport with our clients, and build a strong referral base that keeps Equinox a top fitness club. Lead an unparalleled membership experience and drive results from the front. 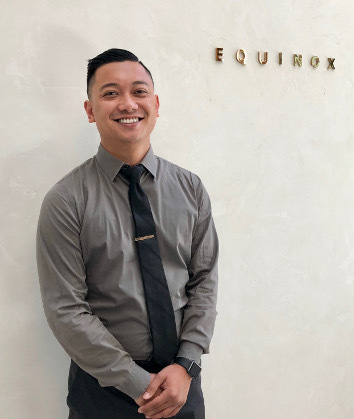 Our Assistant General Managers oversee club operations including front desk reception and housekeeping to ensure Equinox delivers an unmatched customer service experience. At Equinox Headquarters, we never accept less than 110% to support the delivery of the Equinox experience. Whether you’re in marketing, sales, people services, or technology, we expect you to dream big. From medical, dental, and vision plans to exclusive club discounts and an employee referral program, Equinox has the most comprehensive benefits among health club employers. Adaptable, talented, highly motivated, creative and reliable. These are just a few qualities of a military spouse, and are the ideal foundations from which to realize one’s full potential and career goals — especially through meaningful and rewarding employment opportunities here at Equinox. Shortly after Marine Combat Training, I went to school to become a Cyber Network Systems Engineer at the Marine Air-Ground Task Force base in 29 Palms, CA. I was primarily stationed in Camp Pendleton and spent time overseas in Port Elizabeth, South Africa to take part in a humanitarian effort to support Operation Shared Accord. During my time in Port Elizabeth, we joined forces with the South African Defense Military and setup medical campsites for civilians where healthcare was not readily available. To be honest, after having served in the United States Marine Corps, I wasn’t sure if I would ever find my niche in the civilian sector. Meeting Equinox was serendipitous because there are a plethora of traits that Equinox shares with the military – I’m happy to share a few. Equinox employees and members of our armed forces share the notion of “unit cohesion” commonly known as a “united front” where everyone’s participation with one another is necessary to uphold our brand. Another parallel trait is “mission accomplishment” where we will do whatever it takes to get the job done while meeting and exceeding expectations. My favorite, however, is that everyone at Equinox strives to be a better version of themselves. There are times here that I feel like I am at full throttle for days or even weeks at a time. Then I look to my left and to my right and see that my peers are working with the same ferocity. Much like my time in the Corps, I am comforted to know that I am not alone in this battle; that my colleagues are fighting just as hard to maintain and be a part of the elite Equinox brand. I started at Equinox as an IT Help Desk and Field Operations Engineer; I have since taken on the role of West Coast IT Support Lead. I feel fortunate to say that I have, undoubtedly, found and grown in my niche. I entered the Marine Corps in July 2006. I began my career as a Field Radio Operator at Camp Lejeune in Jacksonville NC. While there I was deployed three different times. While deployed my unit was involved in a multitude of missions ranging from training cycles with foreign countries to humanitarian assistance in Bangladesh and Haiti. After 4 years, I was stationed at Marine Corps Air Station Miramar in San Diego, CA. After a couple of years there I was sent to Recruiters school and stationed in Lancaster, CA for the next 3 years. I left the Marine Corps in November 2015. Upon leaving the Marine Corps I started attending College of the Canyons. 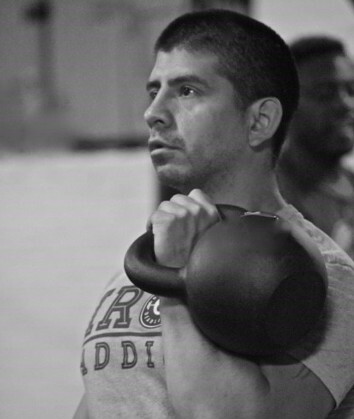 I was afforded an opportunity to become a personal trainer through a non-profit organization for Veterans called FitOps. After attending the first class and getting certified I found my way to Equinox Encino. I started working here in February and immediately fell in love with my job and place of work. The team atmosphere and willingness to help others learn brought back a sense of camaraderie that I thought I had lost. Having the chance to come into work and help others create themselves into what they want to be is amazing. Physical fitness and leadership are qualities I learned from my experience in serving our country, and I am proud to carry these by serving our members at Equinox. Emigrated to the US from Colombia in 1988. Enlisted in 2001 to the Army Reserve. Did a tour of Iraq in 2004 with Operation Iraqi Freedom 2. First generation in the United States but my family is already a military family, with my older brother currently an E-8 First Sergeant and his wife an E-7 Sergeant First Class. I reached the rank E-5 Sergeant. I got hired by Equinox in October of 2006 as a Tier 1 trainer and became a manager in February 2011 having worked in 5 different locations in that time, 63rd, 43rd, 44th, 33rd, and 74th streets. The Army values were engrained in me during basic training and are the guiding lights in my decision making process, Loyalty, Duty, Respect, Selfless Service, Honor, Integrity, and Personal Courage. My aim as a manager is to confront every interaction while upholding these values. Believing that competence will always be my watchword has put me on a path to be the best version of myself I can be, as well as leading from the front to ensure my team is doing the same. I entered the ARMY in May of 2002 and attended Military Police Officer School. I started my career as a Platoon Leader in South Korea. After a year overseas, I transferred to Colorado Springs in 2004. I immediately deployed to Iraq and was placed as a Platoon Leader in Baghdad. While in Iraq my Platoon was involved in a multitude of missions including the support of Operation Iron Fury, the largest coordinated attack of the war. After returning home I left the ARMY at the end of 2006 as a Captain. My passion for fitness and leadership finally found it's home within the walls of Equinox in 2008. I began as a Manager in Training in Newport Beach, and shortly after I was fortunate enough to receive an opportunity to manage the Westwood location. After three years as the Personal Training Manager, I was privileged to lead the Palos Verdes location for three years followed by Marina Del Rey for two years thereafter. Last year, I was promoted to the Regional Personal Training Manager and currently oversee six clubs in the Los Angeles Market. 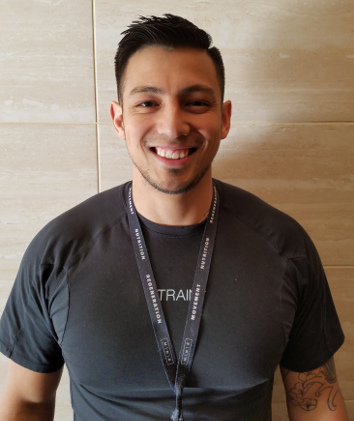 Physical fitness, management and leadership are all qualities I learned from my experience in serving our country, and I am proud to carry these by serving our members at Equinox.